Trusting you had a beautiful time over Christmas and new years, and enjoyed taking some moments for yourself! The end of the year and start of the new one always feels like a great time for reflection and inspiration as many of us take a break from business as usual. What did I achieve this year (in my business and personally)? When was I most in alignment this year? Where was I? What was I doing? Who was I with? What did I do to expand my comfort zone in 2015? How did I challenge myself? Who helped me out this year (friends, clients, family, authors, speakers, coaches, strangers)? How did I acknowledge them (or how will I acknowledge them now)? What loving acts of kindness did I do for someone else this year? What loving acts of kindness did I do for myself this year? What would I need to do differently in 2016 in order to make space for my desires to manifest? What am I prepared to do differently in 2016 in order to allow, and make space for my desires to actually manifest? 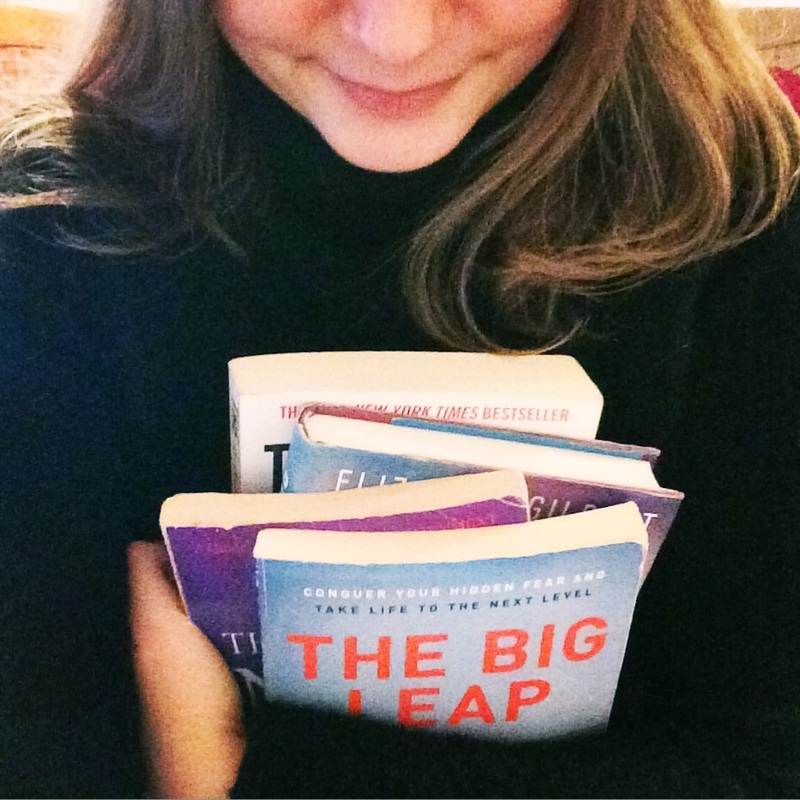 I’ve got to say, one of the biggest things for me in 2015 was that I started READING! It sounds kind of alarming to me now, to imagine that I wasn’t really reading books before this year, but it’s true! I just never got to focus and get through more than a few chapters. This year I read some amazing books, and applying what I learned from them truly TRANSFORMED my life and my whole year personally, business-wise and in my relationships. A LOT has shifted for me since this time last year - the way I’m living life, the people I am attracting into my experience, the way I’m working with my clients, everything is higher-vibe, more conscious and more exciting, and I know a lot of it has to do with these amazing books. I’d love to share with you a few of the classic and new reads I enjoyed this year + a few takeaways (in the order I read them). I'm sure you'll know most of them! I'd love to know your thoughts too... Have you read these? What did you take from them? How did they help you to see the world differently? What changes did you make after reading them? I love that the messages in these works resonate with us all in different ways. It was honestly amazing how much this book helped me to change my life and up-level my business. Something just unlocked for me after reading this. It's funny that I'd had it for years before picking it up, I guess the timing was just right. Through concepts such as the 'Upper Limit Problem' this book helped me to see past my own blocks and self doubt, and go beyond them, shifting my mindset. I took SO much away from this book. After reading this I became really aware of the 'stories' I was telling, the excuses I was making for myself and I started to really challenge my beliefs. My thinking became so much more conscious. Were my thoughts really serving me? Were they even true for me? I realised just how lame and unhelpful some of them were and LET. THEM. GO. Shining a light of awareness into our dark beliefs weakens them, and they can disappear altogether. Read this book! THIS BOOK. Obviously, amazing. It’s a classic. It was massive for me and a really good next step from The Big Leap, taking consciousness to the next level and going even deeper. I picked it up by chance at a swishing party when I noticed it on my way out. I wonder how different things might be now if I hadn't seen it there that day!? This was an extremely transformational read. Again I read it cover to cover and now carry it with me very often, dipping back into random chapters or revisiting specific parts. I also read A New Earth after this one, and the message is similar - they are equally powerful in my opinion. These books help me to connect with Source, my higher self, and live from that place - being present, where life is literally buzzing all around, everything is beautifully connected and all is well. This book really changed the way I looked at our concept of wealth, goals, achievement, our life-timeline and what’s really possible. It includes some great questions and exercises that made a huge impact on my life, and includes lots of helpful and interesting learnings that he's made along the way in life and biz. This book totally opened my mind to different ways of doing business, leveraging time and skills in a more productive way. Whether you like him or not, Tim Ferriss is one of the most fascinating people I have ever read from or listened to. This book inspired me massively and gave me so many practical tools to get on with straight away, and like all teachings, I applied what felt relevant and left what didn't feel right to me. He also has an AWESOME podcast where he interviews all sorts of interesting people - I recommend checking it out, it's called The Tim Ferriss Show. It's always one I download and listen to!! My coach recommended this book with so much passion that I was compelled to get it straight away! I loved Liz Gilberts TED talks and was excited to read her new book which unlike previous works was a self-help type book rather than a novel. I came away from this book with a lot more respect for all art, including my own, not only for the work itself but for the enjoyment of creating it. To value our creativity, to acknowledge the artist within us and enjoy making stuff. I finished reading it wile I was away on the Abraham-Hicks cruise, and I felt that Liz’s concept of creativity and inspiration being like energies out there, looking for a human partner tied in really well with what I had been learning on the event. A real breath of fresh air, its also a super funny read - I LOLLED many, many times. What were your favourite books read in 2015? I would love to know! Creating this list also reminded me that I helped to write a book this year! I was honored to contribute to Sue Williams Believe! You Can! series of books around self belief. I wrote a chapter on overcoming limitations where I shared my story. You can buy the book on Amazon here (kindle version here) or check out the website here. The pic on the left here was taken at the book launch... What an exciting time it was! Sending you good vibes for 2016. It's going to be an awesome one! Remember to sign up to my mailing list to get these blog posts straight to your inbox before I share them here on my site! I'd love to see you there. Now taking bookings for Sydney + London. Message me at becky@beckyrui.com. I can't wait to hear from you! If you'd like to learn more about the process of a personal branding shoot you can head over to this page, or sign up on my homepage for a free audio guide to learn more and help you prepare for your next shoot!